Are you looking for an Mechanic Shop that you can rely on to fix your car? And are you looking for an auto repair shop that offers services that you can afford to pay for as well? Then you should read this article for advice on how to choose the right auto repair shop. There are many important things that you need to take into consideration. First of all, you need to make sure that you get a good impression of the auto shop. This means that the first time you take a look at it you can see that the auto shop is well equipped with the latest machinery and repair devices. It should also be staffed by well-trained and hardworking mechanics that look trustworthy enough to work on your car. Of course, you cannot judge an entire auto shop based on your first impression of it. But it’s a good start. If an auto repair shop looks crappy from the onset then you shouldn’t even bother inquiring with them. Just move on to the next shop. One thing you should do before making inquiries is to get a bit of basic knowledge about how your car works. There are numerous employees and owners of repair shops that will try to rip you off if they think that you have no knowledge about cars and car repair. Sometimes they will overprice you significantly for a certain task that should have cost much less. Other times they will tell you that something needs to be repaired even if there is nothing wrong with it. You should be wary of these kinds of people as they only want to rob you of your money. But sometimes, having just a bit of knowledge about your car and how it works will be enough to stop them from trying to overprice you. These are the things you need to take into consideration when inquiring with different auto repair shops. When you inquire with these shops, you should request for Auto Repair Estimates of what they plan to do in order to fix your car and how much this will cost. This way, you can compare the prices and services between the different shops, and decide which one seems most reasonable to you. A good idea would be to ask some of your car enthusiast friends for advice as regards this matter. Keep in mind that even though it is important to save on money. There is no use spending even a little money on a car repair shop that will do a poor job in the first place. Once you have made all of your inquiries and canvassing, you should be more than ready to choose which auto repair shop you want to have your car fixed in. 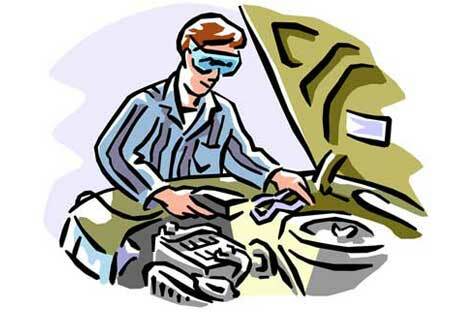 Do remember that there are ways by which you can avoid spending a lot of money on expensive car repairs. By maintaining your car properly and having it regularly checked, you can keep it from having any major problems in the long run. 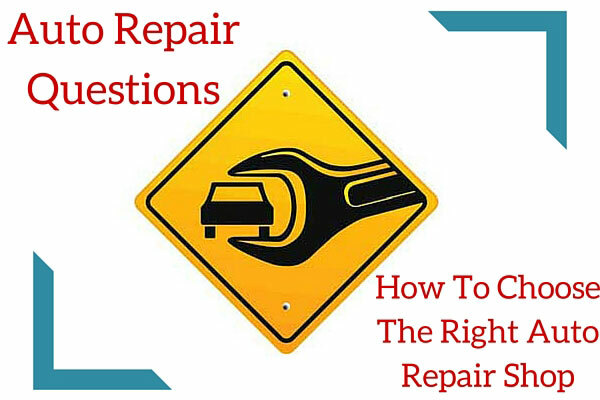 Hopefully, this article has been able to answer some of your auto repair questions on how to find the right auto shop.